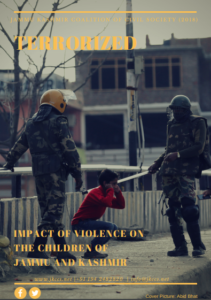 An important report published in March 2018 by the Jammu Kashmir Coalition of Civil Society (JKCCS) on the different forms of violence affecting children & the impact of violence on children in occupied Kashmir. It also provides a historical overview of the occupation & an understanding of just how brutally violent it is. It’s 63 pages of very powerful & damning information.